NASSAU (IPS) – Small Island Developing States (SIDS) have championed the phrase “1.5 to stay alive” in demanding that global temperature increases be kept as far below 1.5 degrees C as possible to limit the anticipated devastating effects of climate change on the world’s most vulnerable countries. But for the countries of the Caribbean, the challenge associated with the ongoing climate change negotiations is that even if the goal to limit global warming to 1.5 or 2 degrees C is achieved, they will still experience severe adverse impacts for which stronger programmes of adaptation would necessarily have to be implemented. In The Bahamas, if the sea level rises some five feet, 80 percent of the country would disappear. To assist with ways to build resilience against this bleak possibility, the Inter-American Development Bank Multi-Lateral Investment Fund (IDB- MIF) and CARIBSAVE have given The Bahamas a grant of 100,000 dollars. 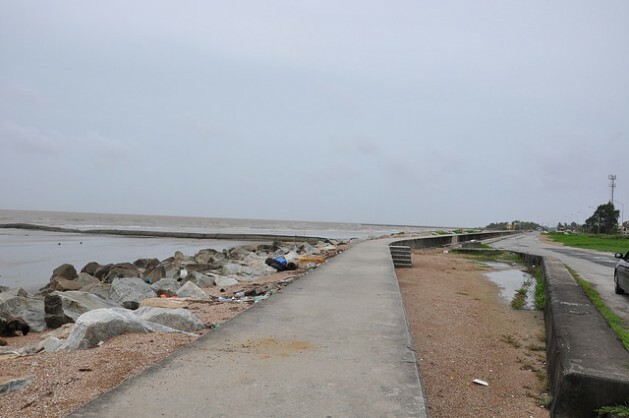 It’s part of the Climate Change, Coastal Community Enterprises: Adaption, Resilience and Knowledge (C-ARK) project that has a total budget of 2.5 million dollars. Regional Director of CARIBSAVE Judi Clarke said The Bahamas was an easy pick for the grant because it is one of the most low-lying countries in the world. “We’ve been working with the Bahamian government for nearly 10 years on climate change resilience and trying to strengthen the resilience of The Bahamas and the Bahamian people,” Clarke told IPS. With a regional headquarters in Barbados, an office in Jamaica, and registered entities in Saint Lucia, Grenada and soon Guyana, CARIBSAVE’s work spans the wider Caribbean. They bring together specialist knowledge, project management expertise, convening power and innovation with the goal of achieving a sustainable future for all. The Bahamas Prime Minister Perry Christie said the situation for his country and others in the region is rendered especially urgent in the face of information that ocean acidification, sea surface temperatures and sea levels are already rising. “The region is not fully able to adapt or to mitigate the loss and damages associated with climate change induced upon us,” Christie told IPS. “These, particularly sea level rise, will irreversibly change the geography and ecology of many coastal states and territories. It has been projected that responding to these factors can have particularly disastrous consequences causing a perpetual recession on each of the CARICOM member states for a significant period as our infrastructure-built environment, settlements and economic wellbeing are concentrated in coastal areas prone to flooding and inundation. “For the region, climate change magnifies the growing concerns regarding food security, water scarcity, energy security and the resource requirements for protection from natural disaster,” he added. The Bahamas’ grant will be used in micro, small and medium sized enterprises (MSMEs) and community-based organisations (CBOs) in New Providence, Abaco and Andros. The grant is expected to impact more than 3,000 local direct and indirect beneficiaries. “The Bahamas is gaining the reputation of being at the forefront of environmental issues and looking at sustainable ways that we can protect this environment,” Director General of the Ministry of Tourism Joy Jibrilu said. The islands of the Bahamas are already experiencing some of the effects of climate variability and change through damage from severe weather systems and other extreme events, as well as more subtle changes in temperature and rainfall patterns. Detailed climate modelling projections for the Bahamas predict an increase in average atmospheric temperature; reduced average annual rainfall; increased Sea Surface Temperatures (SST); and the potential for an increase in the intensity of tropical storms. The CARIBSAVE regional director stressed that climate change isn’t just something to worry about in the future. “It’s already happening and more and more, scientists are attributing some climate-related events to global climate change – because the science supports this conclusion,” she said. “Even though small island and low-lying coastal states like those in the Caribbean are not historically responsible for the causes of climate change, we are some of the most vulnerable to the adverse impacts. Serious adverse impacts are already being felt by island states at the current 0.8 degrees C of warming, including coastal erosion, flooding, coral bleaching and more frequent and intense extreme weather events. The U.N.’s lead agency on refugees has already warned that some particularly low-lying island states are “very likely to become entirely uninhabitable”. For the Caribbean, Clarke said the primary challenges as a result of climate change result from the physical and economic damage from extreme events such as tropical storms and hurricanes, which are expected to increase in severity and frequency as a result of climate change; and drought conditions which have been occurring more frequently throughout the region. She said this trend is expected to continue and is of concern for the management of water resources and agricultural productivity. Clarke also cited sea level rise, noting, even though this may appear to be mere increments per year, low-lying coastal areas are vulnerable from storm surge – which is magnified by sea level rise. “Since much of the region’s population and critical infrastructure is located in coastal areas, this is of great concern. Storm surges associated with hurricanes can cause loss of life and much physical damage in coastal areas,” she added. CARIBSAVE also plans to spread micro grants across other countries in the region including Barbados, Belize and Jamaica.